Not All Those Who Wander Are Lost is a collaborative Live-Performance of M. Kardinal and The Kanadagans – an audio-visual Journey through the invisible Movement of urban Landscapes and their Sounds. 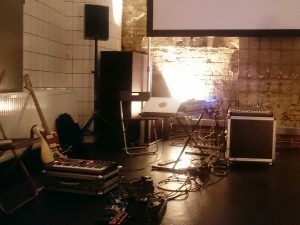 On September 9th, 2016 the Work was performed live at Spektrum, Berlin. 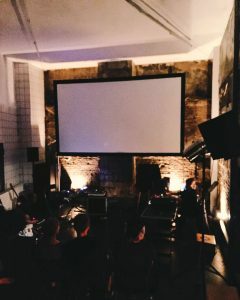 Sitting in aRoom, opposite each other, a Videoscreen between, The Kanadagans played the musical, while M. Kardinal played the visual Side – both joining in the synaesthetic Qualities of analogue Drone and Glitch. With Guitars, Synths and those being processed in various Ways, The Kanadagans built a dense Vortex of buzzing, shimmering Sounds. 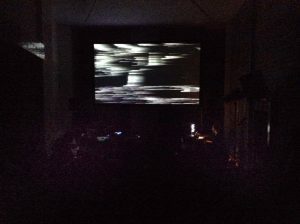 Utilizing analogue Videoequipment, M. Kardinal processed and mangled various moving Images, until both – Audio and Visual – merged into a monochrome, yet glimmering Maelstrom. Created from found footage of urban environments, the running magnetic tape will be analogue manipulated with a modified video mixer. 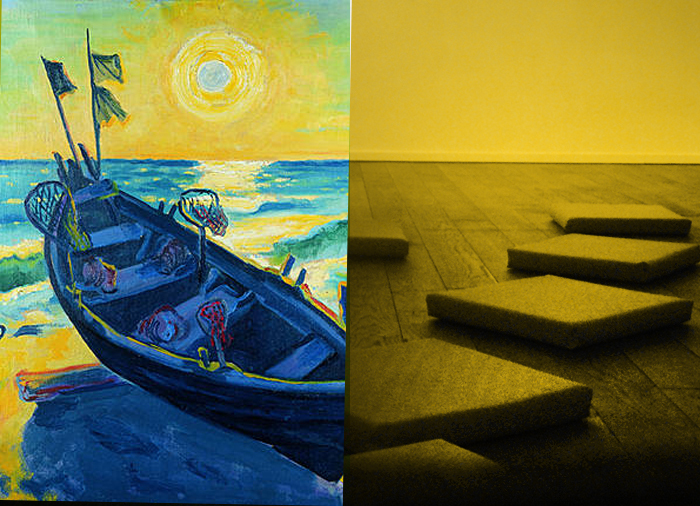 The visual motifs sway into the music of The Kanadagans and vice versa. 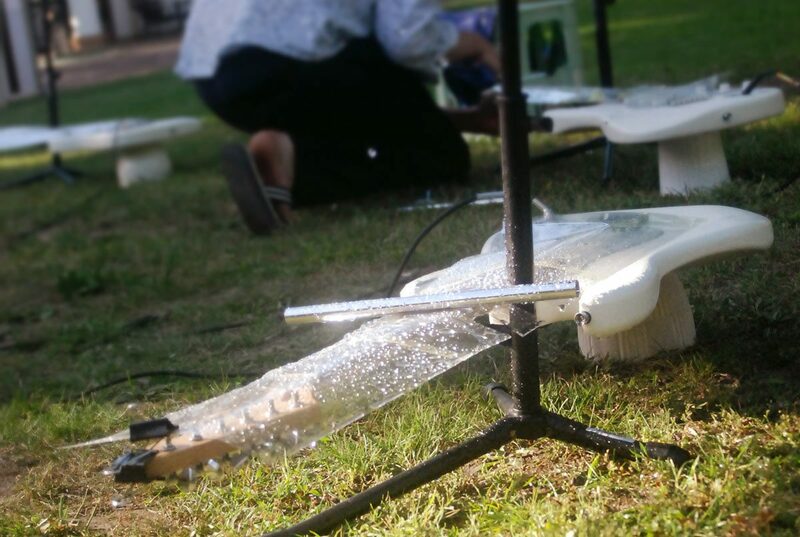 Based on guitars, FX-pedals and synthesizers, they create humming-buzzing drone music. Dealing with the aspects of intuition, distortion, minimalism and monotony the audio-visual cooperation leaves the established paths of perception, finding the hypnotic pulse of urban landscapes channeling its vibration through the malfunction of the machine. Exploring the medium through malfunction as a homage to the poetry of failure. A cathartic wander through humanity in the machine, and a tribute to the emotive – often flawed – feedback of the human mindscape. Gleaning and wafting within an intuitive communication that rises from the mutual submersion and a subliminal sense for the playing and phrasings of each other‘s musical and visual counterpart. Not all those who wander are lost. SPEKTRUM is a space of convergence for cultural communities and transdisciplinary groups emerging and operating in and off Berlin. The project aims to bring confrontation, open knowledge and a platforms for idealisation, realization and presentation of technology-based artworks, science-focused events and futuristic utopias based on the principle “do-it-together-with-others”. See a Video-Excerpt of the Performance here on Vimeo. 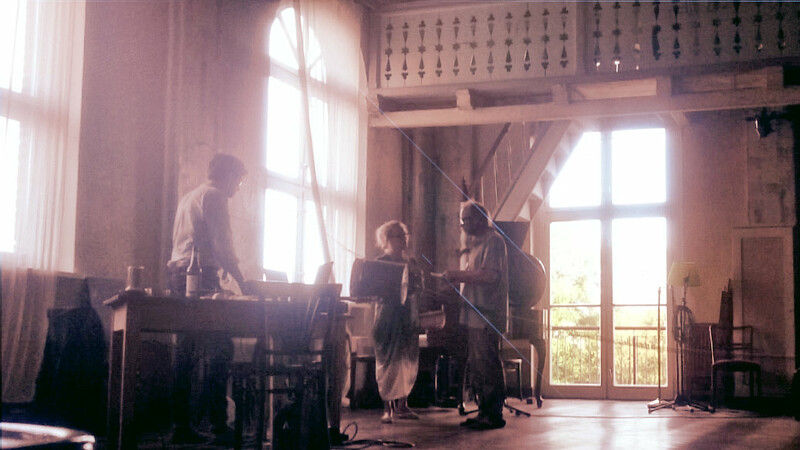 In 2014, the three Artists collaborated for the audio-visual Work „Tschaika“, The Kanadagans then working under their former moniker The Splendid Ghetto Pipers.